The American Geriatrics Society (AGS) today offered a ringing endorsement of the Geriatrics Workforce and Caregiver Enhancement Act (H.R. 3713), a proposal for programs addressing the shortage of health professionals equipped to care for us all as we age, as well as supports for older adults, caregivers, and the interdisciplinary teams responsible for delivering high-quality care. Introduced by Reps. Jan Schakowsky (D-Ill.), Doris Matsui (D-Calif.), and David McKinley (R-W.V. ), the bill draws on considerable insights from the Eldercare Workforce Alliance (EWA), a collaborative comprised of more than 30 member organizations co-convened by the AGS and now reflecting the diverse expertise of millions of professionals who support health in aging for older Americans. 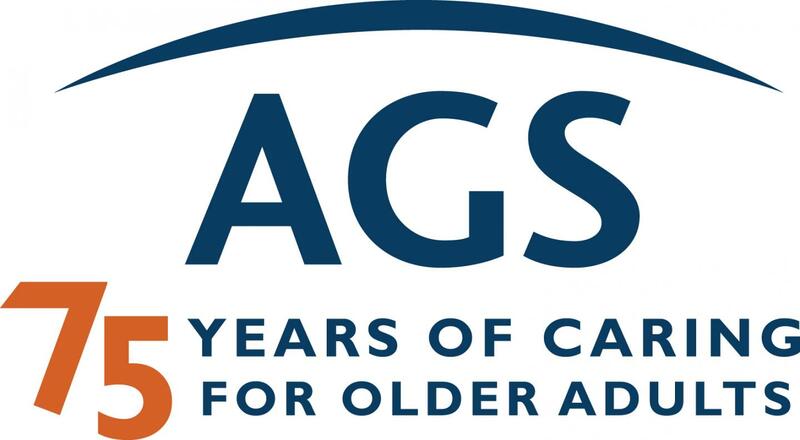 "The future we're working for at the AGS–a future where all older Americans have access to high-quality, person-centered care–begins by building the workforce to make it possible–and by ensuring that workforce can connect us to the tools and supports we need as we age," notes AGS Chief Executive Officer Nancy E. Lundebjerg, MPA. "We commend Reps. Schakowsky, Matsui, and McKinley for working with us and our partners to make that future a reality with the Geriatrics Workforce and Caregiver Enhancement Act." Improve the quality of care delivered to older adults by providing education to families and caregivers on critical care challenges like Alzheimer's disease and related dementias. The bill also would reestablish and enhance the Geriatric Academic Career Awards (GACAs), a previously funded program that enabled career development for more than 200 clinician-educators before it was eliminated in 2015 through a consolidation of several geriatrics training programs. Since 1998, original GACA recipients have trained as many as 65,000 colleagues in geriatrics expertise and have contributed to geriatrics education, research, and leadership across the U.S. Renewed GACA funding–with special priority for awards at institutions also working on GWEPs–comes at a critical juncture for the field: Researchers reporting earlier this year on the impact of the GACA noted that, without a substantial increase in funding for geriatrics education and research, the U.S. risks "decimating a workforce that is essential to training health professionals on the unique healthcare needs of older adults." "Supporting these programs individually and in tandem builds the momentum we need to ensure access to high-quality, person-centered care for us all as we age," Lundebjerg observed. "The GWEP will help transform primary care for older adults in the here-and-now. The GACAs extend that vision to our future by developing educators for the next generation of professionals. Together, these programs embrace the present and future of health, safety, and independence for all."